Did you know that May is National Fitness Month? With obesity levels among kids rising to alarming rates, there's no time like the present to start making good choices for our kids, not only with what they eat but also with what they do. With the days growing longer and the weather getting better, May is the perfect month to take your kids outside to play! To celebrate, and to participate in the annual National Fitness Month awareness campaign, My Gym Fitness Center is holding a Family Fun & Fitness Day today, May 1, with fun activities, enrollment discounts and special offers at select My Gym locations (go to www.mygym.com to check events and schedules at your local My Gym). Hosted by My Gym personality Monique Vranesh, My Gym At Home is a fitness title program aimed at children 3 and under featuring exercises designed to assist in the formation and development of children's motor skills, flexibility and social skills. 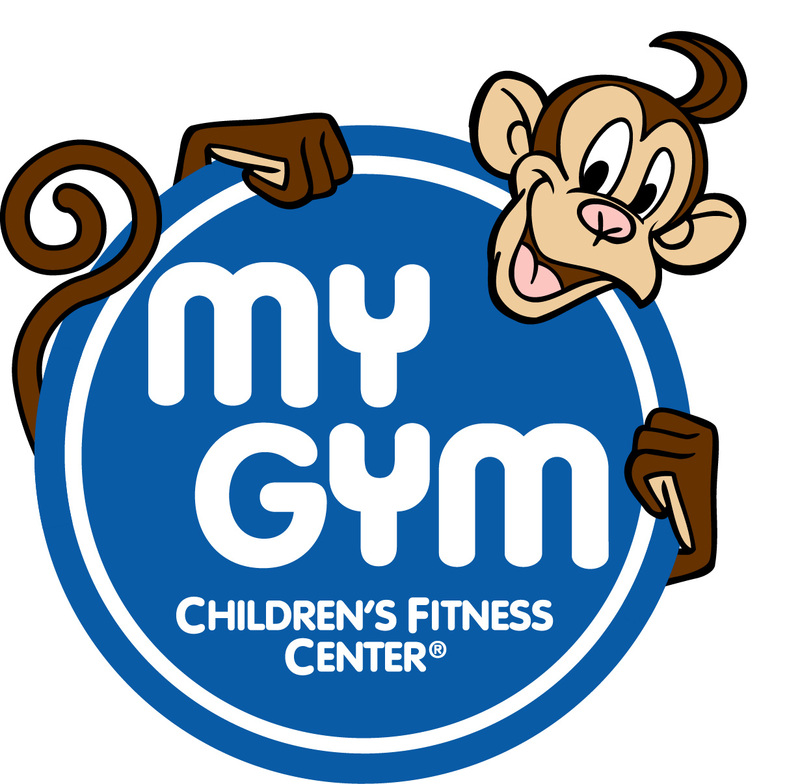 My Gym's team of children's fitness professionals joined together with BabyFirstTV's educational experts to develop and produce My Gym At Home bringing young families fun My Gym exercises that parents can perform at home together with their babies and toddlers. This isn't your typical Jane Fonda, leg-scissors exercise video. It's fun! The video is structured a bit like a typical My Gym class, with parents sitting in a circle, helping their kids do movements like arm circles and leg lifts and the like, set to kiddie music. My favorite part is the headstand class -- teacher Monique shows parents how to help their child (the kids in the video looked like they were about 15 months) do headstands! She gives tips on how to do it in a safe, controlled way (use your hands to support your child at the hips, no pressure on the neck). Babies and kids love going upside down, so it's a great exercise! This DVD seems to appeal more to parents than to the children. True, kids do like to look at photos and videos of other kids, and that might be enough to keep them interested, but some animation sequences of some animated characters doing exercises might be a nice change. My Gym At Home brings all the fun of a typical My Gym class to your home. It has lots of ideas for parents who want to share some fun, active playtime with their young children, and it's a fun way to get babies and toddlers moving! Win a My Gym At Home DVD! One lucky Bonggamom Finds winner will receive a copy of My Gym At Home DVD. To enter, simply leave a comment on this post and tell me one physical activity you enjoy doing with your kids. Maximum of 8 entries per person. This giveaway ends at midnight PST on May 15, 2010; I will draw a winner at random on May 16 and post the winner's name after the winner confirms acceptance. For additional giveaway rules, click here. Good luck! ST. PETERSBURG, Fla. -- Inventor and entrepreneur Joy Mangano, President of Ingenious Designs, LLC, a subsidiary of interactive multichannel retailer HSN, has partnered with Grasshoppers to unveil a new footwear collection incorporating style, comfort, and innovative breakthrough technology to enhance overall well-being every day, all day. Launching on May 3, 2010, Performance Platforms™ with patent pending Get Fit™ Technology by Grasshoppers will be exclusively available at HSN and HSN.com. "Joy's innate ability to highlight an everyday item like sneakers with an advanced patent pending fit technology is what has kept her at the top of her industry and an HSN customer favorite for the past ten years," says Lynne Ronon, Executive Vice President of Merchandising for HSN. "The introduction of this new footwear reinforces our commitment to provide our customers with innovative product assortments and technologies." I like to go for walks, it is great excercise. I enjoy going on hikes with them at the nearby trail. Thanks. We go for walks through the woods at the park by our house all the time. So much fun! Sorry for the delay in updating this -- the winner is Angela!